Rock Island Armory is the brand of Philippines manufacturer Armscor. 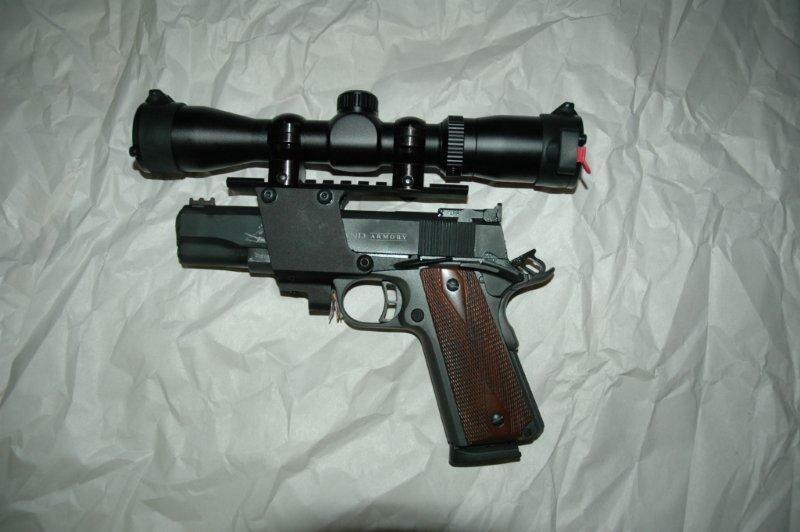 It is well known for its line of extremely inexpensive, no-frills 1911 pistols. I knew for a while that it had a match model, and wanted to test one out, but it was out of stock everywhere for over a year, so I could not lay my hands on it. Just a couple of weeks ago, however, one of our distributors got several of them in stock, so I jumped on the opportunity. The pistol is very well built. The slide is not tight, but there is not one bit of lateral play in it. The trigger is crisp and breaks cleanly. The grips look very nice and are very comfortable. The pistol feels very well balanced and a pleasure to hold. 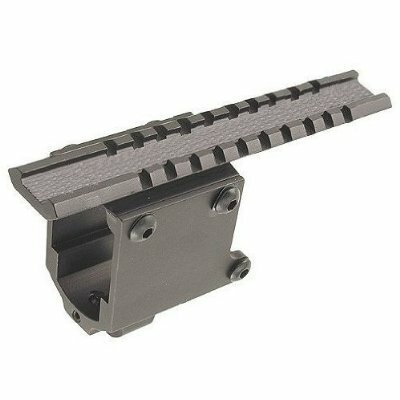 There are several safety features: the usual slide lock safety switch is ambidextrous. There is a grip safety that prevents the pistol from firing unless it is firmly positioned in a hand. An intertia spring-loaded firing pin is shorter and can only hit the primer if struck vigorously by a hammer. Speaking of the hammer, it can be locked in half-cocked position, yet another safety feature. The pistol came in a usual plastic box with manual and one magazine. The insides, incuding the bore, were wet with lubricant, and needed to be wiped off before use. 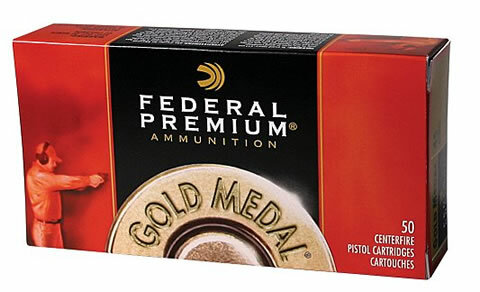 I got a box of Federal Gold Medal Match ammunition, loaded 50 rounds of my own using S&B brass, Bullseye, and Sierra's Tournament 185gr bullet, and headed for the range. At the range I have picked up two more boxes of inexpensive 45 ACP reloads from local companies. These had inexpensive 230gr bullets and unsorted brass from several manufacturers. Federal GMM ammo has a special semi-wadcutter bullet that turned out to be a problem - about once every 2 magazines the cartridge would fail to load. This was not surprising - wadcutters require a modified ramp in 1911, so the effect was expected. Since I was interested primarily in accuracy rather than reliability, that was OK.
All in all I have spent 2 sessions testing the pistol out. First I used iron sights. The cheap reloads did not do so well, as expected. 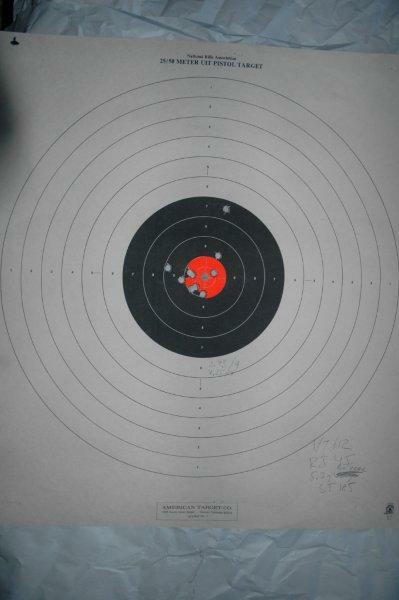 Federal produced groups that were well centered, but roughly 30% bigger than the handloads. Unfortunately something happened to the target - I could not find it. One thing that surprised me was the recoil. It was extremely mild. 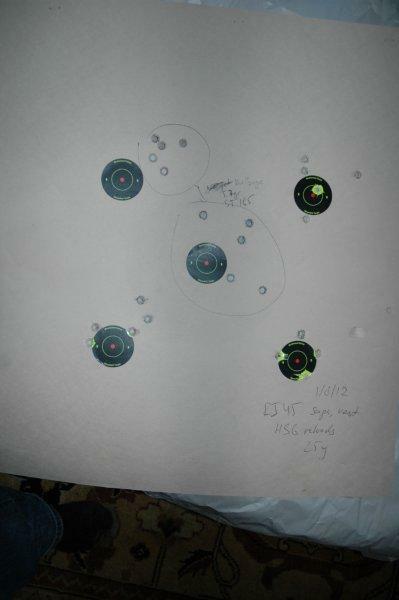 In fact, the recoil felt less than that of a Polish P64 shooting 9x18 Makarov caliber. How this can be is completely beyond me, given that 45ACP has at least twice as much powder, but here we go - the recoil felt really gentle. 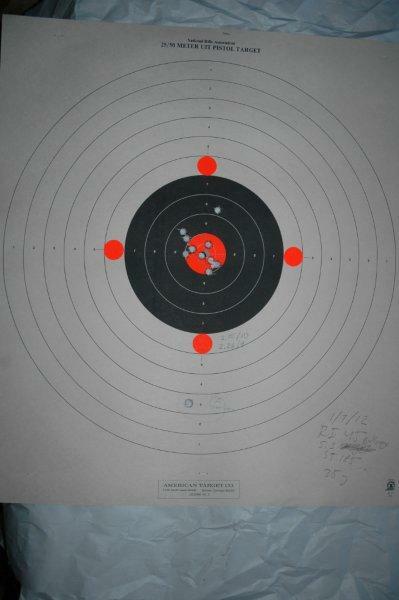 I was shooting P64 on one of the two days as well, so it was a direct comparison. 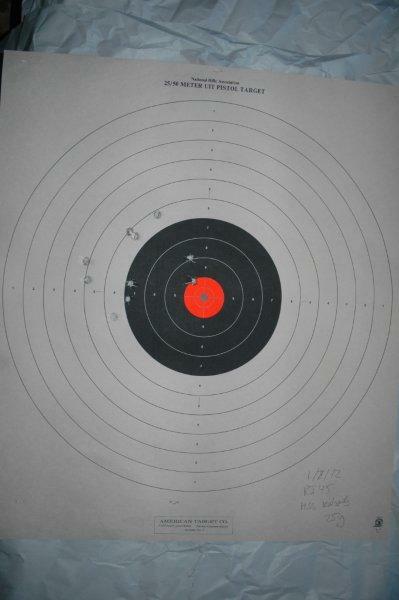 Because of the light recoil and comfortable grip the pistol felt very pleasant to shoot. Still, I am not a great shooter, so I wanted to eliminate the error due to open sights, so for the next day I mounted a scope. I bought a no-gunsmithing mount on Amazon. It required a lot of fitting, but eventually I filed it down to the point when - with a lot of shimming - it would hold. In general, I do not recommend this mount - it is not very solid, mars the frame, and is a pain to install and remove (and you have to remove it for cleaning), and required quite a bit of filing and even more shimming to install. However, it was OK for one day just to test out the loads. With the scope I could now aim better, and here are the results. There is still about 0.5" of fudge factor due to my unstable hand, but this is closer to what this pistol is capable of producing. Do not pay too much attention to the point of impact, since I planned to test mutiple load I never bothered to completely zero out the scope, just to get it reasonably close. 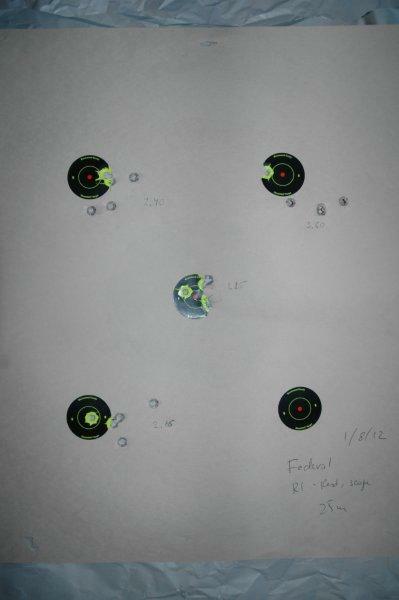 The handloads did better, again, producing a few sub-2" groups. The groups were, in the order of firing, 2.12, 1.56, 1.30, 2.53. The biggest group here is in part due to scope rings mounting screws coming undone. 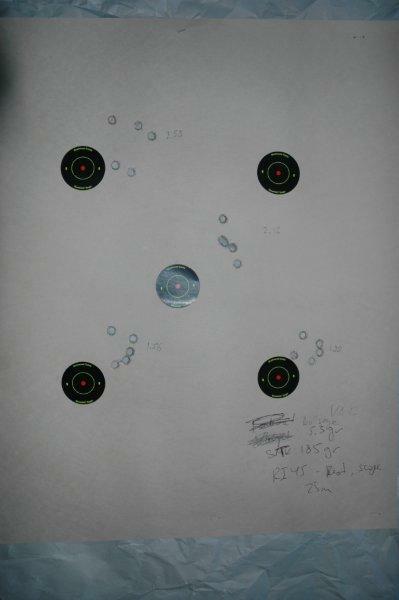 And cheap reloads were predictably unamazing (the few pockmarks to the right was the neighbor though). So the verdict? This is not a Les Baer. It did not produce a 0.75" at 25 yards. 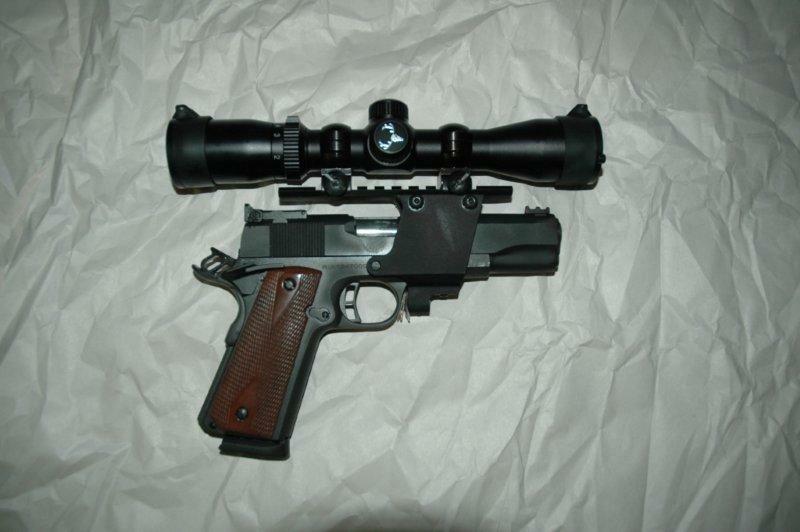 However, it is also about 4 times cheaper than Les Baer, and it is more accurate than many shooters can notice. The build quality, the features, and the accuracy is on par with midrange 1911s made by US manufacturers which cost well in excess of $1000. So if you are looking for a very solid, hand-tuned 1911 for the price of an entry level pistol, look no furhter, while they are still there. Looking at the way stock moves at the distributors, they are surely not going to be available for very long, at least not for this price.